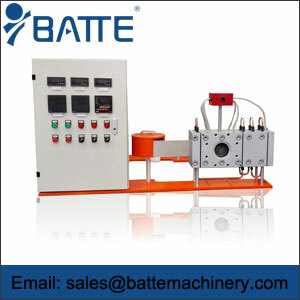 Slide plate screen changer also be called single slide plate double working station screen changer, which is designed with leak proof sealing system, compatible with various extrusion production for most polymers at high pressure, temperature and production throughput to change screen for extruder. 2. Screen changing time is within 2 seconds. It enjoys very good seal effect with double sealing systems of vronze ring and water cooling at the top and bottom of it’s body. 3. The screen is designed with elliptical bore which doubles the filtering quantity, and ensuring high output. 4. 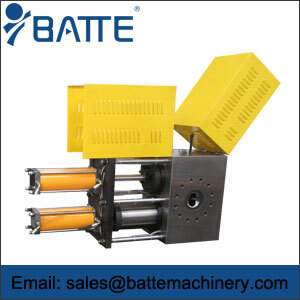 This series of screen changer consists of four independent breaker plates, each with openings of same diameter and screen pattern. 5. 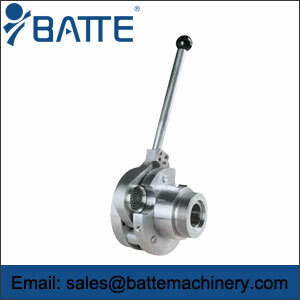 It works well even under the high temperature of 300°C and high pressure of 25Mpa-50Mpa. 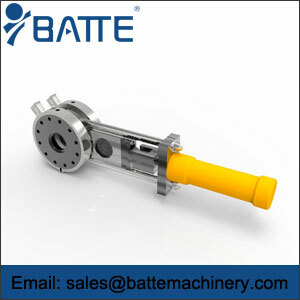 This screen changer is continuous screen changer.It can guarantee a continuous and stable extrusion production.It has the largest possible filter area available, facilitating the effective removal of contamination. What's more, the screen's back spill plates are designed so that 95 percent of the screen surface is in use.